Check and inspect the goods upon receipt. Is suitable? Pay! Pay without leaving your home with a card, personal or credit funds. We are interested in cooperation with enterprises and organizations and are ready to carry out the supply of necessary goods with all accompanying documents stipulated by the current legislation of Ukraine (warranty card, copies of certificates confirming the origin and quality of products), as well as provide a package of documents for the correct display of the operation in the company's accounting records ( invoice for payment by bank transfer, expenditure invoice, tax invoice). In the case of wholesale (from 5 units) or regular (at least 1 time per month) purchases it is possible to establish an individual price for goods. 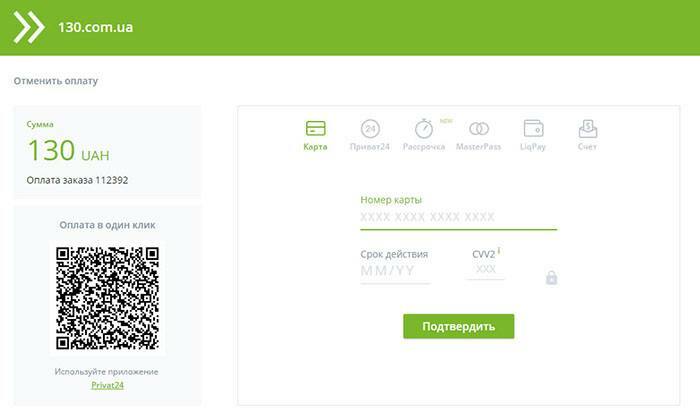 Please note that the minimum order amount must be at least 150 UAH. We value our new and regular customers, so we provide a discount system that applies to the entire range of products *, regardless of whether there is a discount on the product at the time of ordering. Discount cards and promotional codes-from 1%. Our store periodically holds promotions among registered customers and sends out discount cards/promotional codes. To provide an additional discount, you must enter the received code in the “Promo Code” field in the first step of ordering. All of the above discounts from the prices on the site are summed up and are provided automatically in the basket (trunk)-the first step in ordering. We carefully monitor our prices for goods to be competitive in the market and most beneficial for our customers. If you managed to find a price lower (subject to availability of goods in stock) — write or call us and our managers will try to make a more interesting offer for you! * Please note discounts for brands such as: StarLine, DDPai and Mio are not available. Pay for the order after receiving the goods and checking them at the carrier’s office, at the courier or at the 130 customer service point. Please note-in the case of delivery of goods by New Mail, a fee is charged for cash on delivery-UAH 20 + 2% of the order value. The commission is paid by the client (when ordering goods with a certain note-the commission is paid by the store). In exceptional cases, for some exclusive and/or large-sized goods, it may be proposed to make a partial prepayment of up to 10% of the cost (but not less than UAH 200), and the remaining amount can be paid upon receipt of the goods. Make a partial or full prepayment for the product details on the account. Details for payment can be obtained after placing the order, by email or SMS to the phone. Use the product now, and then pay in equal parts over the selected period! We understand how important it is to plan a budget, so we give you the opportunity to arrange an installment plan or a loan for selected products. On credit, you can purchase almost any product worth from 1500 UAH. To style, press In Credit on the item card, select a bank, fill out the form on the website and wait for the call of the loan officer. You can send applications to several banks and choose the most suitable conditions from those that are offered to you. Choose a financial partner on your own or consult with our manager-he will provide information on favorable loan terms that are valid for now, orient on the size of the monthly payment and help you fill out an application. At the moment, we have the possibility of applying for installments/credit for one product on our website. If you want to purchase several products-fill in the forms for all products separately or contact us in any way convenient for you so that we add several products to one application. Most of the goods can be purchased in installments without overpayments. 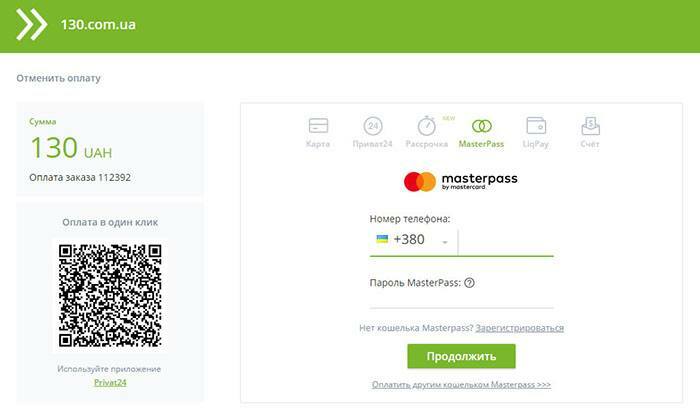 To do this, click the button By installments , fill in the form on the website and expect a call from our financial partner (depending on the chosen period, this could be Ukrsibbank, AlfaBank, OTP Bank, etc.). Please note that the grace period of installments without overpayments and the total loan period may vary. The Bank may also offer additional optional conditions (life insurance, financial risk insurance, SMS informing). Full prepayment for ordering with a VISA or MasterCard plastic card on the site online using the LiqPay payment system. For a successful transaction, a plastic card must support online payment for purchases in online stores..
To pay for the order, just enter the card number and expiration date, as well as the CVV code. For payment, you need to log in through Privat24, select a card for payment and confirm payment. You can pay for the order using the MasterPass wallet. You can pay for your order using LiqPay wallet. Enter your E-mail and you will be sent an invoice there to pay for the order.